Often the one thing we overlook when we are dreaming and planning for the future is being aware of how the past has played a significant role in where we are today. There is a significant benefit of looking back on what has worked and what has not in order to set the tone for what is ahead. And as the year comes to a close in less than 2 months, it is the perfect season to set aside time to be intentional about what you want out of 2018. This episode is the first of a three-part series on goal setting for 2018. We start right at the beginning -- looking back at the year that has just passed. I speak candidly about what worked for me and what did not and the process I use to set goals moving forward. 1) What have your experiences this year taught you about yourself? 2)What did you experience this year that you would rather not repeat? 3) What were the top 3 greatest things to happen to you? If you are ready to take your goals to the next level, but are not sure where to start -- let's schedule a 30 min FREE strategy session so that you can have the clarity you need to move forward in 2018. 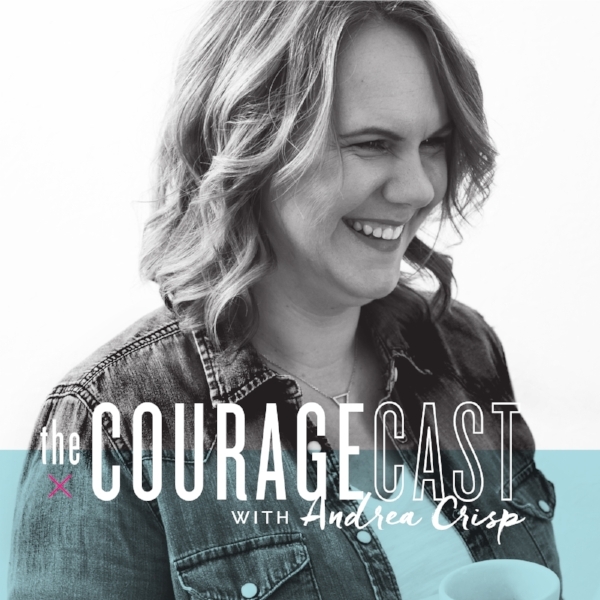 In this BONUS episode of The Couragecast, I decided that it was time that I took a brave step and pressed record with no notes and no preparation to chat about the Live Brave Challenge. The reason most women don't pursue their 'big idea' is because they are afraid to face the uncertainty of risk. It's time to stop undervaluing what you have to offer the world. I'll help you become the woman you are meant to be! For 5 days beginning Monday, October 30, 2017, you will be challenged to step out of your comfort zone and into the life you were meant to live. During the challenge, you will receive daily emails direct to your inbox so that will give you the tools you need to put into practice the art of living bravely. You'll also have access to an amazing group of women in a private Facebook group who will be joining me live each day to share their journey of overcoming fear. The best part of this challenge will be the community that is forged and the encouragement that you will leave with at the end of the five days. In an ideal world, what would your life look like? In this episode of The Couragecast, I’ll be answering a great question that was sent to me from Karin in Montreal. She asked, ‘why is the word balance so important, can I actually live a balanced life?’. I’ll debunk the myth that all we need is work-life balance to be happy. It’s time to redefine what success really looks like. My version of success will be different than yours — and that’s ok. You may value more relational time than I do. I may value financial stability more than you do. Whatever the case, success is what you prioritize and value in your life. As I was preparing for this podcast I came across an incredible article in the Harvard Business Review. This article was written about the four characteristics that are most commonly found in people who achieve success. I will link the article for you in the show notes. The first characteristic of someone who has achieved success is that they have understood what happiness looks like in their life. They know how to get out there and enjoy life and to take time to do things that bring them joy. When you think about your life, can you pinpoint the area’s in your life that truly bring you happiness? Or are you so focused on success that you have forgotten to enjoy your life? The second characteristic is achievement. Those who have become successful have followthrough on the goals that they set for themselves. They have been able to achieve different milestones in their career, financial life, and have stayed the course even when things got tough. Have you been able to see your achievements as success? Are you moving towards your goals, or trying to do too many things at once in hopes that you will find balance. The third characteristic is that successful people have significant relationships with the people closest to them. They have not distanced themselves from those they love, they have found ways to spend more meaningful time with their friends and family. Who are the significant relationships in your life? Are you investing in those people? And the fourth is legacy. Successful people are leaving the world a better place than they found it. They have discovered their specific purpose and are intentional about living it. Are you making a mark on the world, or are you just going through the motions. Welcome to episode #007 of The Couragecast. In this episode, I'm answering a question that was sent to me by Daniella in Toronto. She asked, 'What do you do about the fear of standing out? How do you honour the people around you who are not moving at the same pace or in the same direction? If you're ready to say good-bye to the relationships that are holding you back, so that you can make room for people who will propel you forward, then join me for a FREE training that will teach you to surround yourself with people who will empower you to live your dreams. Welcome to episode #003 of The Couragecast. Are you ready to discover how you can be more captivated by your purpose, and less distracted by comparison? Today I share the real reason why I almost did not launch this podcast, and why I believe that we need to captivated by purpose, and not distracted by comparison. If you're ready to take the next step, and gain the confidence you need to move out of the comparison trap, I've created a worksheet that will ask you some powerful questions.